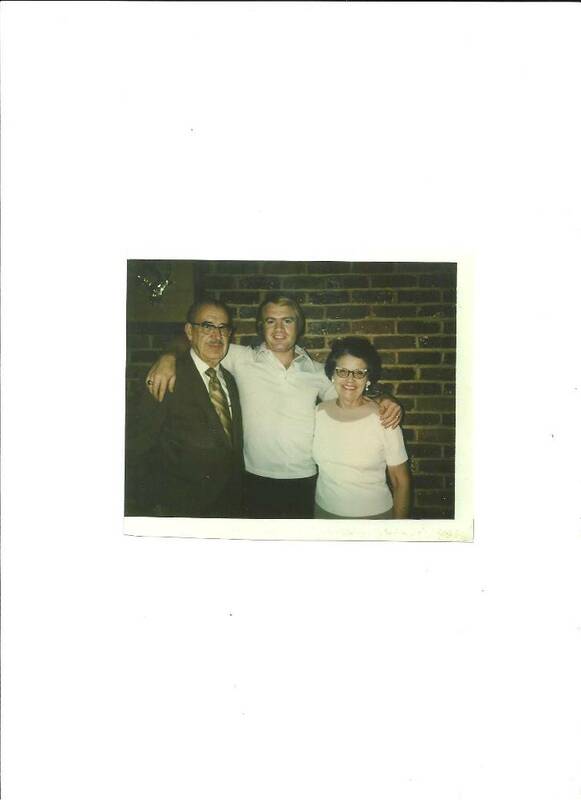 Bill Stamps, center, and his grandparents, Adrian and Miz Lena, circa 1971. My grandmother, Miz Lena, was a frugal lady. I used to think some of the things she did to save money were a little over-the-top. But they worked. Before microwaves, there were frozen TV dinners. They came in a box with a tray inside that had three or four food slots. Pretty much what they look like these days. The trays were silver and sturdy. Not plastic. Kinda heavy aluminum. The same thing with chicken or turkey potpies. They came in a substantial aluminum-foiled bowl. I remember Grand Mom being blown away by this new-fangled way to cook a meal. Pull it out of the freezer. Take it out of the box. Leave the top covering on. Punch it with a fork a few times. Pop it into the oven for a half-hour and, voila, supper was served. No muss. No fuss. No pots to clean. Miz Lena saved those silver trays and potpie bowls. Elizabeth, Grand Mom's longtime housekeeper, would wash and stack them in the top cabinets of the kitchen. At least three dozen of them. Most of my mother's side of the family gathered at Miz Lena's for Thanksgiving or Christmas. Counting kids, there could be as many as 40 people to see to, seat and feed. Grand Mom's two-story home was quite large. Tall, white pillars out front. Whitewashed brick. Maple and oak trees, almost a century old, leaning in the front yard. A strip of five orange-tipped, light-up candles in all the windows, upstairs and down. A huge evergreen wreath, with a big red ribbon, spray-on snow and several black pine cones was hung on the permanent and perfectly centered nail on the front door. It seemed like Miz Lena's home was special-built for the holidays. Miz Lena said, "Elizabeth, I need you to run out to the garage and git me the tree and the boxes of green ornaments." All the ornament boxes were clearly and descriptively marked, including the color and the year they were last used. Miz Lena put up the same artificial tree every Christmas and rotated the ornaments' colors. Years back, Miz Lena had decided to stop buying and bringing real trees into the living room. She'd say, "Takes me a week to pick up all the mess. I still kain't git up that water stain over by the winda'. Besides, I've paid for that fake tree five times over." Grand Mom bought all her Christmas cards, supplies and some presents at huge discount prices a couple of days after Christmas for next year's Christmas. The garage was filled with neatly stacked boxes of Christmas stuff. The artificial tree was white and stood 8 feet high. It was up in no time. Grand Dad got out the ladder and placed the angel at the top. That was his only assigned Christmas decorating duty. Miz Lena coached him from below. "Looka here, Adrian, yuh need to push the ladder in a little closer. Watch yore step. Stop shakin' the tree. All my ornaments is gonna break. We don't need no repeat performance from last time." A few years earlier, Grand Dad had dipped into the eggnog a bit and had fallen off the ladder into the tree. Miz Lena never let him live it down. If Grand Dad ever said something back to her, Miz Lena would say, "Just git the angel on the tip and you can go back to doin' nothin'." Grand Dad stuck close to the TV, back in the den and out of the line of fire. The Christmas tree was centered in the front window, next to the white piano, in the living room. You could see it from the road. At night, Grand Mom would light it up with a gizmo under the tree that rotated and cast four different colors on the tree. It didn't take long for all the holiday decorating to be completed. Miz Lena and Elizabeth had Christmas decorating down to a science. Garland wrapped around the stairs railing, wind-up Santas in the den and special bowls of fudge, hard candy, peppermints and nuts laid out on just about every table in the house. I wasn't allowed to eat any of it until Christmas Day. All the Christmas cards Miz Lena had received from her friends, family and her business associates were set out, like little tents, across the book shelves. Several more were Scotch-taped to the refrigerator and to the cabinets in the study. Christmas morning, I awoke to delicious holiday aromas coming from the back kitchen. I could distinguish the differences in smells between the hams and turkeys being prepared. Grand Mom's house had two kitchens: the little one behind the den and the big one in the front of the house, just off the dining room. The big kitchen was rarely used except for holidays and special occasions. After company left, Grand Mom would brew some coffee, slice off a little piece of fruitcake that her sister, Inez, made for her every Christmas and go sit down in the den. Miz Lena had been going since before sunrise, cooking and baking up a storm, with the help of Elizabeth and one or two of Elizabeth's "sisters from church." There were always serving plates and pots and pans full of leftovers. Meats, vegetables and pies. Not to mention Miz Lena's special stuffing and her extra great-tasting candied yams. Grand Mom said, "Elizabeth, take all that to the back, and we'll get after it tomorrow. Take those two grocery sacks home with yuh. There's a fruitcake, turkey and some ham slices in there. Tell Booker we said 'Merry Christmas.' We'll do our TV dinners tomorrow." The next morning, Elizabeth would pull down the saved aluminum TV dinner trays and potpie bowls and fill them with holiday leftovers. Into the chest freezer they would go. Throughout the rest of the winter and into early spring, we'd have Christmas dinner once a week. Years later, Grand Mom and I were laughing about it. She made a point to tell me about leaner years and to never take having something to eat for granted. She said, "Waste not, want not. Back then, I used to save good food like it was money. Exceptin' fer Innie's fruitcake. She never could get it right. I always gave it away to Elizabeth." 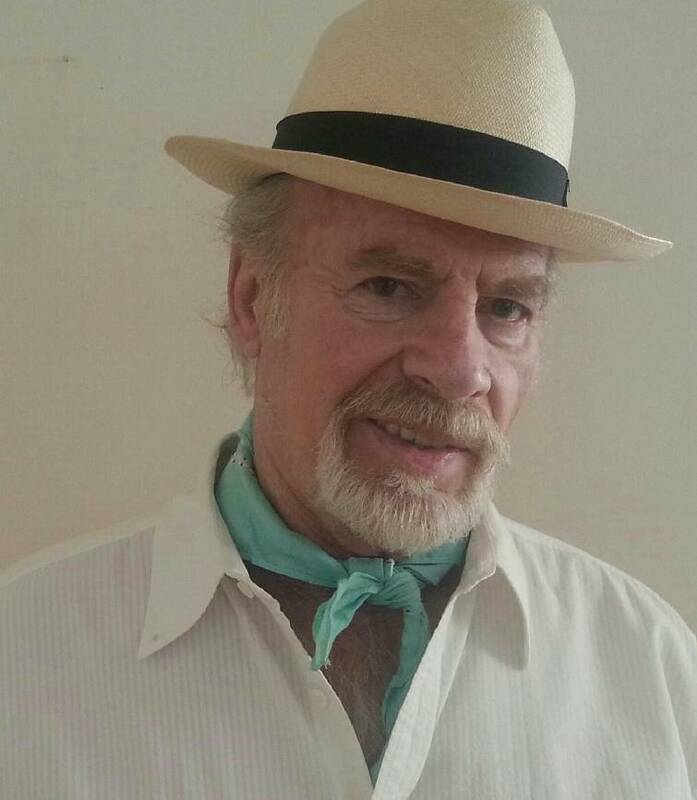 Bill Stamps is a native Tennessean who spent four decades in the entertainment business before moving from Los Angeles to Cleveland, Tenn. He can be reached at bill_stamps@aol.com or through Facebook.